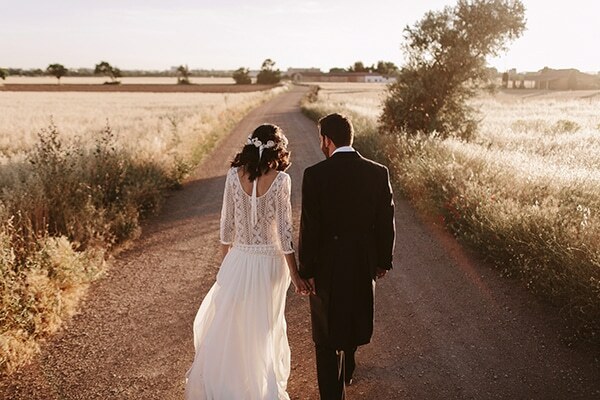 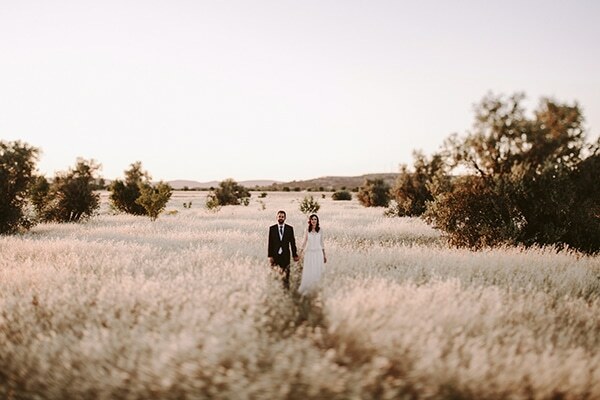 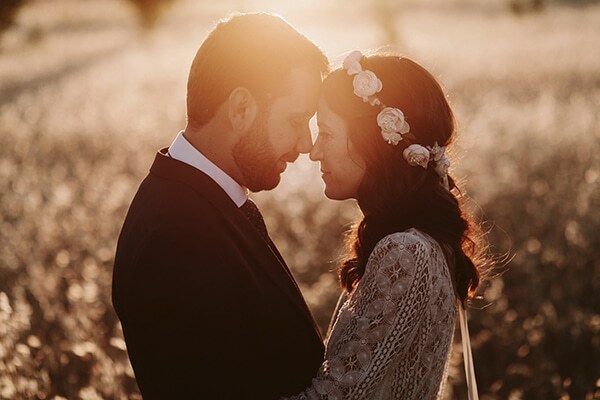 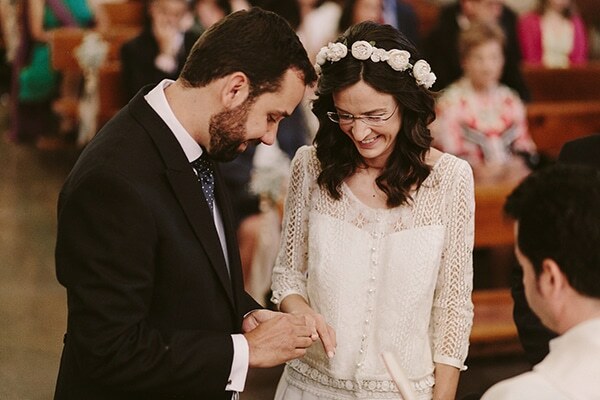 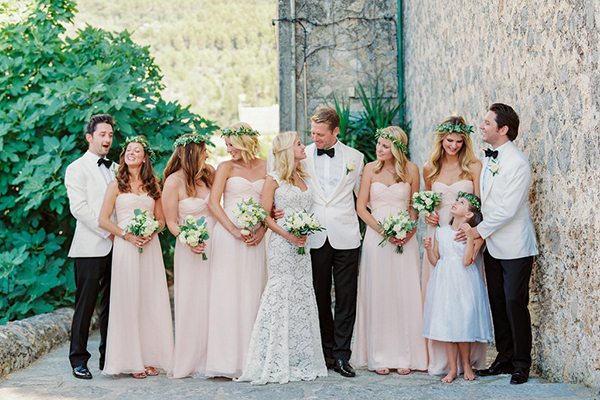 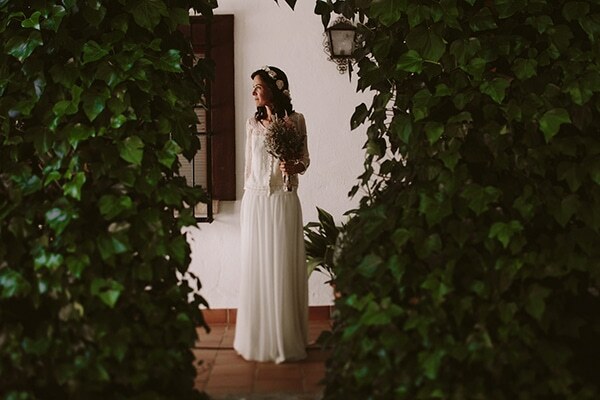 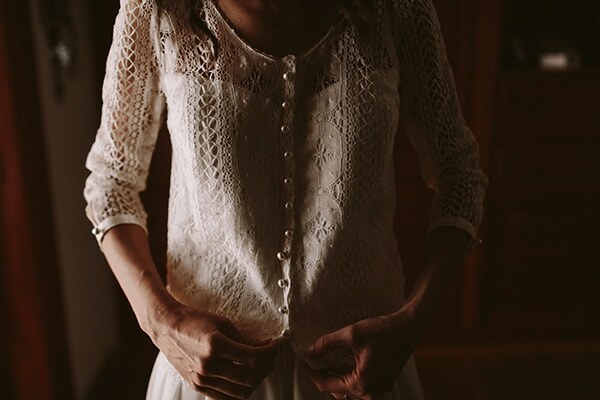 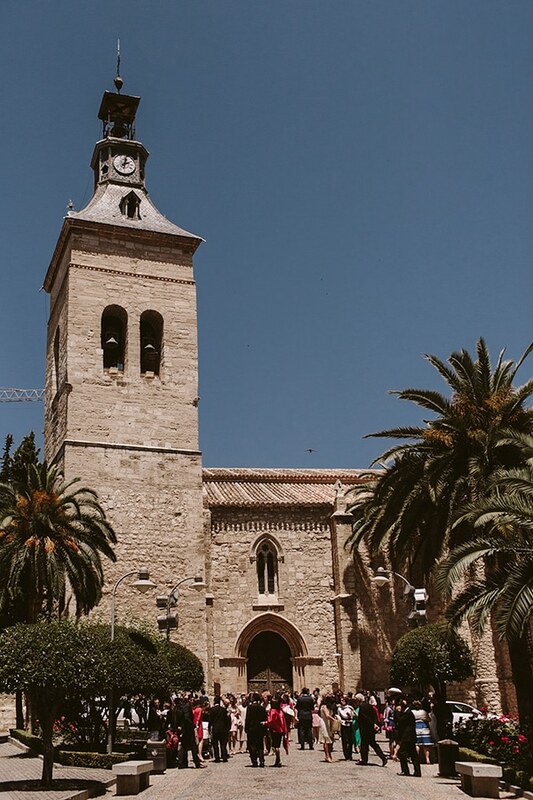 We are sharing today a beautiful rustic wedding in Spain that will mesmerize you! 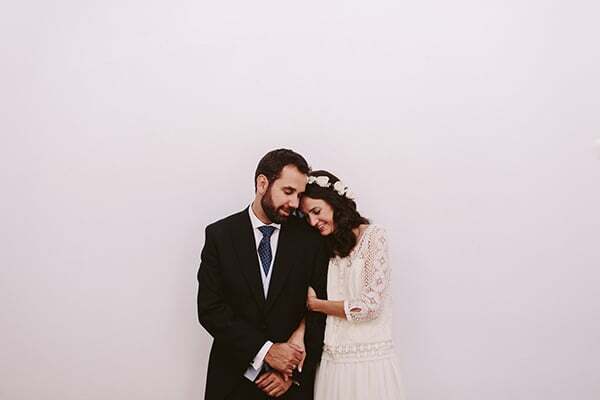 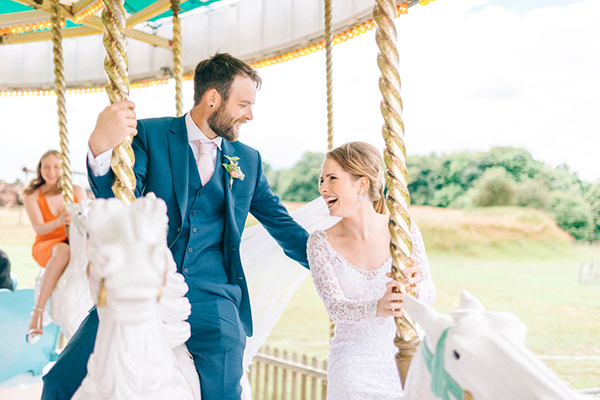 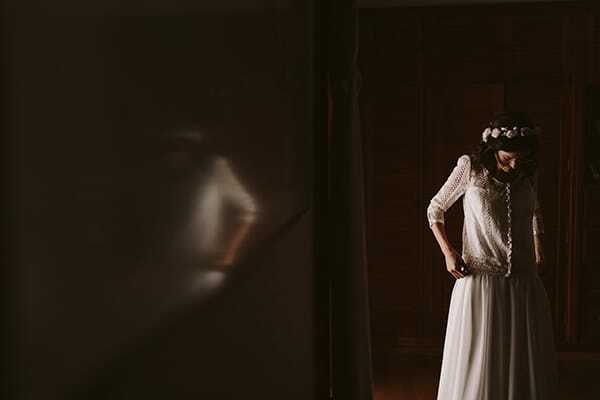 Julia and Pablo had a lovely intimate wedding with a rustic style and a relaxed feeling! 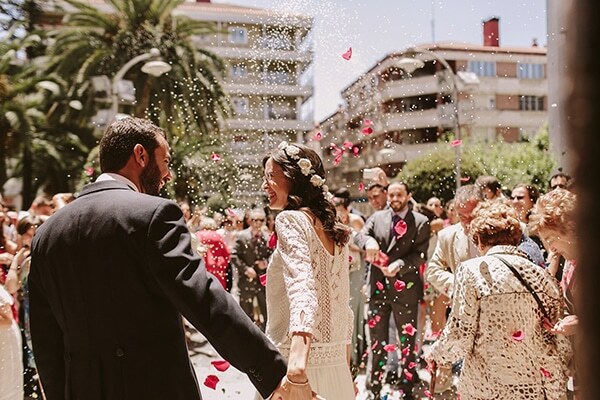 After the ceremony, the reception and party followed at bride’s family house’s garden, which was adorned with handmade decorations! 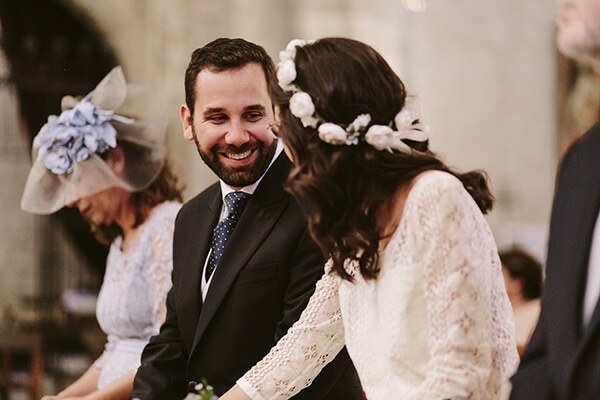 The boho wedding dresses and the headpiece with flowers bride was wearing fitted perfectly to the relaxed feeling of the wedding! 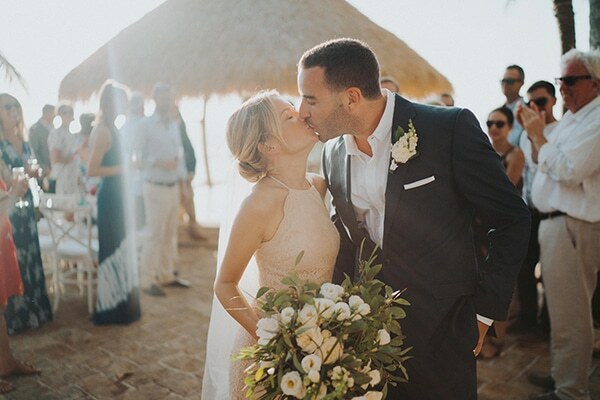 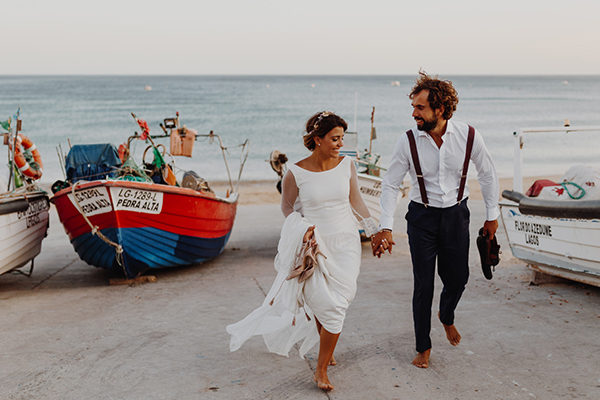 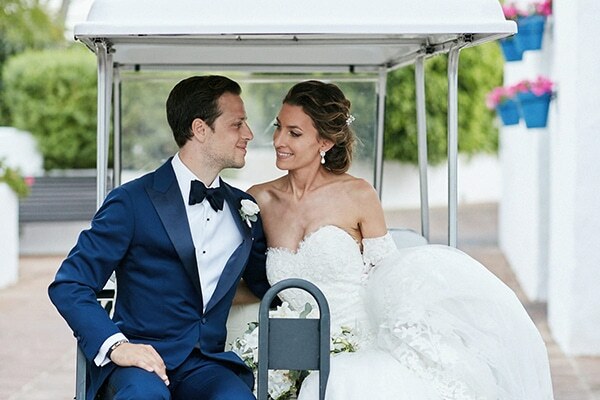 From photographer People Truelove Tellers: “For her big day, Julia opted for a two-piece design by Laure de Sagazan that she complemented with a floral wreath and espadrilles. 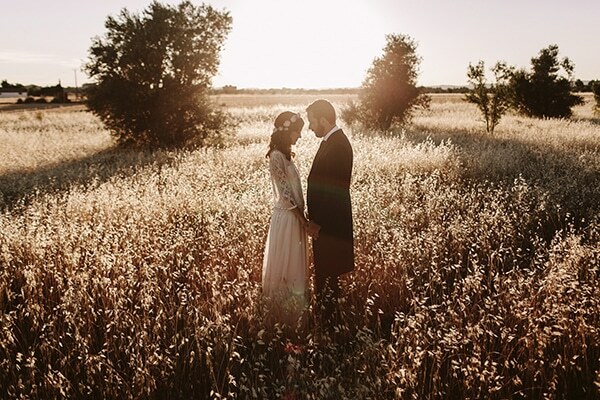 A country-style look that matched the wedding style. 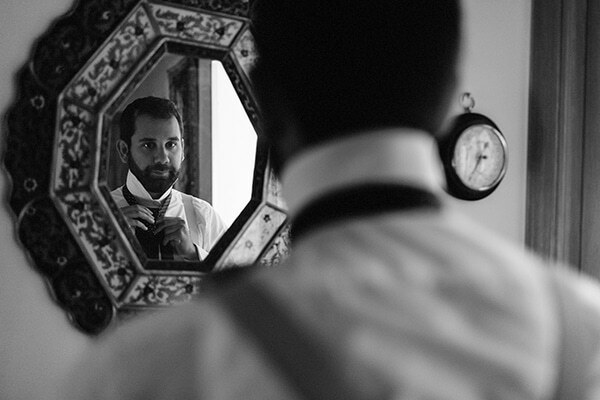 Pablo chose a Guzman morning coat, the watch that Julia gave him on his first birthday together and a pair of cufflinks in the form of a camera. 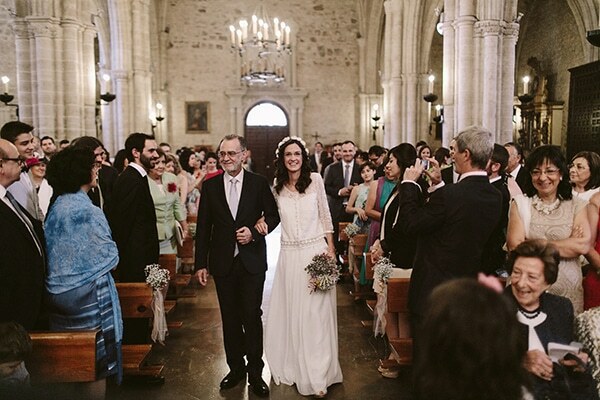 After a religious ceremony in the Church of San Pedro, bride and groom went to the family house of the bride to celebrate with their guests under the sound of the live swing band Old dixiland band”. 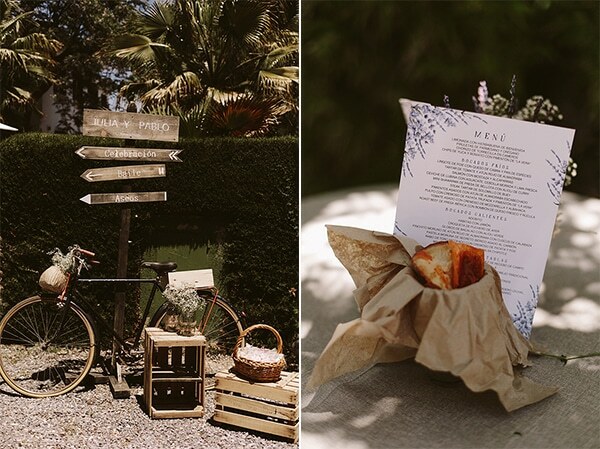 “Wooden pallets, boxes, posters and pennants, all handmade and recycled, made up the decoration of the garden to recreate an original space full of love and good vibes. 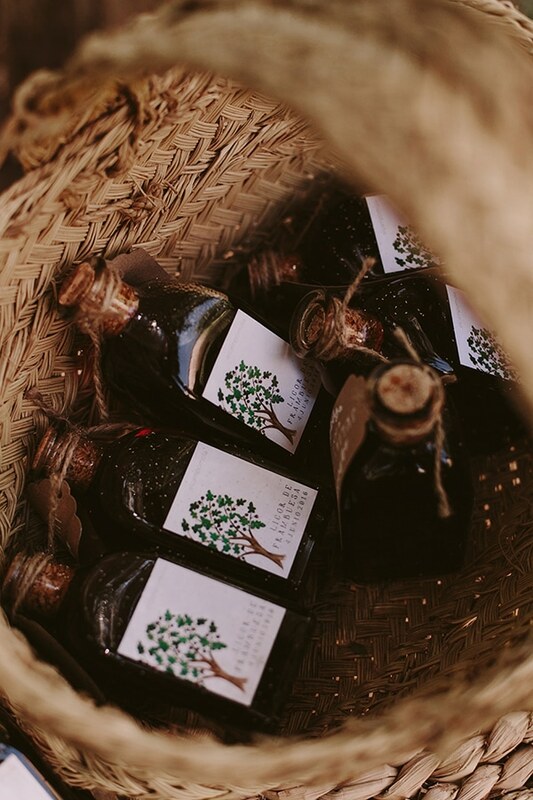 In addition, they did not hesitate to make their guests feel like home by distributing espadrilles and quince, blackberry and walnut liqueurs, which Pablo’s parents had made with a label designed by the bride and groom”.